Roan Soul is a project by Robert Berry and Andi Schenck. Berry performed with bands such as Hush, 3 featuring Keith Emerson & Carl Palmer, Ambrosia, Sammy Hagar and Night Ranger. Andi worked with The Reckoning and Pangaea. Although both musicians played solid Rock, Prog Rock, Modern Rock and everything else with a relationship to Rock music in the past, they decided to create a new sound in the smooth jazz genre with elements of Rock, Pop, R&B and Latin. To promote their new music they are supported by Gorov Music Marketing (formerly All That Jazz) and smoothjazz.com. Jim Peterick's Lifeforce is a predecessor of this movement from Rock to smooth jazz. All songs on their new album Walk the World (2012) were written and performed by Robert Berry (vocals, bass, guitars, keys, programming) and Andi Schenck (drums, percussion). The album starts with the mellow Show Me The Way showcasing singer Robert Berry in a catchy Pop styled song. Comparisons with Hall and Oates or Robie Nevil are allowed. The seond tune All for Love makes it clear, that the group loves a vocal oriented way, in particular a harmonic chorus. But Berry also masters a beautiful guitar bridge. Garnished with Latin guitar flavor Something I Could Say shines with another captivating melody. Finally with Give It To You I cannot resist to compare Robert with the English singer Paul Young, who became famous with songs like Everytime You Go Away or Come Back and Stay. According to their website description is "Blue-eyed soul and modern love songs" Roan Soul's speciality. 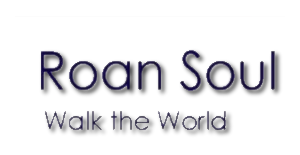 Roan Soul has teamed up with the Special Operations Warrior Foundation to help them support the children and families of the fallen and severely wounded Special Ops Troops. They are donating sales directly to the charity. 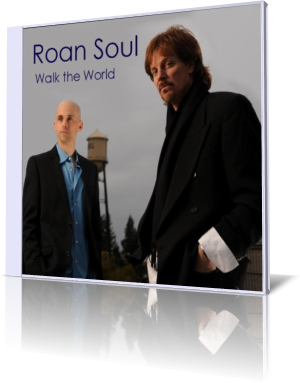 Those who like to support this charity aspect and have an affinity for love songs, cannot fail with Roan Soul's new album.